The Government on March 12 issued Resolution No. 19/NQ-CP on major tasks and solutions for further improving the business environment and national competitiveness in 2015 and 2016. Under the Resolution, ministries, sectors and localities are urged to concentrate on effectively making three strategic breakthroughs in close association with economic restructuring, growth model renewal, higher and higher productivity, quality, effectiveness and competitiveness, with a view to sustaining the country’s ease of doing business index, which is run by the World Bank. During 2015-16, the country will focus on improving the business environment, reforming administrative procedures, reducing administrative processes and costs, while ensuring publicity and transparency, enhancing the accountability of state administrative agencies, and enacting regulations on business conditions and specialized management of imports and exports which are conformable with international rules. Specifically, the Government sets out targets for raising the country’s business environment indicator to equal to or higher than the averages of the ASEAN-6 group (Brunei, Indonesia, Malaysia, the Philippines, Singapore and Thailand) in 2015. These include reducing the average time to pay tax and social insurance premiums to no more than 121.5 hours and 49.5 hours per year, respectively, and raising the number of businesses that complete online tax applications to 95 per cent. In 2016, the country will strive to reach the average indicators of the ASEAN-4 group (Singapore, Malaysia, Thailand and the Philippines). Besides, advancements in science and technology would help with the restructuring of the agricultural sector toward mass commodity production. The sector must also promote product quality and competitiveness, while ensuring national food security, food hygiene and safety and sustainable development. The Government also made other superior value-adding industries like finance, banking, insurance, communications, logistics, petroleum processing, seaport services and sea shipping, marine product processing, sea and island tourism, etc. priorities in the national development program. Ministries, sectors and localities are also requested to synchronously implement restructuring measures to increase operation effectiveness of state-owned enterprises, and creating favorable conditions for private enterprises to develop in order to increase the competitiveness of the whole economy. 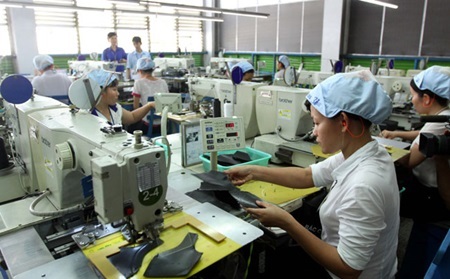 Special policies and mechanisms will also be formulated to facilitate enterprises, especially small- and medium-sized enterprises, in equally accessing resources, particularly capital, land and natural resources. Enterprises are also encouraged to invest in technological and scientific research, development and application. The Resolution also sets forth measures of public service socialization, including restructuring public non-business units and giving them more autonomy and accountability following the mechanism applicable to enterprises, especially those in the fields of education, health care and technology.